Once you hit the age of 50, it will quickly dawn on you that the changes to your body are no longer on the way but they are already here. Good or bad, the following are the kinds of shifts you can expect to start happening in your body, along with some other things you might not or would not be able to do again at this age. This is because the taste of some foods will be different. Why would this happen? It is due to the decrease in your cells that are responsible for deciphering aromas and they are not being replenished at the same rate at which they are reducing. This also affects the signals that go to the brain from your nose. They tend to decline and because of this, your sense of smell is affected. It becomes harder for your brain to recognize what the aroma coming in from the nose. Some of your medications might also cause this. Being over 50 comes with diminish in your taste bud. The effect occurs in the sweet and salty taste, then later the sour and bitter. Am sure you already have an idea why this would have. And yes, you won’t be as agile as you used to be. This isn’t your fault. Your tendons, ligaments and muscles are just not the way they were when you were 30 or 40. You can expect that lifetime of tear and wear to start taking over from when you are over 50. However, having trouble turning your back to check out something is not considered normal aging. Over 50 training guide will be a good way to start your journey to working on your muscles and body. Your legs simply won’t keep up. Hearing from people that being over 50 slows down your life, it might have literally meant that your will become slow with your legs as well. Your legs aren’t really the problem here; your muscles aren’t just receiving the right signals from your brain. The cells of your brain responsible for shooting the commands of motor-control are sliding. It will just take longer, that’s what I mean. Naturally, the muscle mass declines and the effects are even more noticeable at the age of 45. You can blame your body mechanism for that. You know that one responsible for rebuilding of protein and body repair? Yes, that mechanism is slowing down in your body. By the time you are over 50, there is already a 10% drop in your bone density. This results in a longer recovery time if you sustained injury and also a reduction in your physical strength as well. According to some studies, at your age, you are 15 to 18% slower in recovering from the same type of injury with a 30 year old adult. 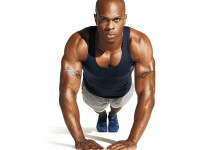 Check out Over 50 training routines to work on your core muscles a few times in a week. Constipation is another common challenge for over 50, and there are lots of reasons for this. Ok, let me just mention few of them. The movement of the muscle in the colon becomes slower. 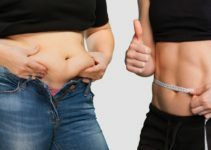 Another reason is the changes that are now occurring in some of the body mechanisms that are involved in this process. You can also blame some of your medications for this constipation. Also, some health conditions can result in this too. Such health challenge could be irritable bowel syndrome and diabetes. You will also experience constipation if you don’t take enough water or living a sedentary lifestyle. Don’t try to heighten the flavour of your foods by adding more salt, just do an exploit with variety of seasonings. They can help you enhance your favourite meals. It’s ok to experience certain levels of stiffness after a long care ride or just getting out of bed. However, when this stiffness start giving you pains, then a visit to your doctor won’t be a bad idea. This usually happens even before you are 50. About 10 years earlier. Over 50 workout plans have been proven to help with this. They have good ways of challenging the brains and muscles. So, exercise your body and try new workout routines as well. This is one impact of aging that you can counter by building resistance and strength training 2 or 3 times in a week. Take calcium daily to help your bones. Daily walking is also another way to work on your core muscles. Add more high-fiber foods such as fruits, whole grains and vegetables to your meals. Be sure to drink plenty of water. Another thing that plays a major prevention role in this is regular exercise. That you are over 50 does not mean your glory days are over. You just need the right nutrition, mindset, exercise and workout plan to start your journey to a healthier you and achieve your goals. All these are what Fred Schafer promised with his over 50 Fit program. It is understandable that you have a tight schedule or busy lifestyle, trying to balance work, family, aging parents, adapting to your own aging body among others, however, create time to visit a fitness centre once or twice a week. There are best fitness centres you can check out and they have branches in most cities. Detroit is a good place to start checking.